Big Tobacco and cannabis make strange bedfellows and may redraw political alliances across the states, and even force legalization. What’s next for Big Tobacco? It could be cannabis, if recent news is any indication. The financial world was rocked by an announcement that Altria, the giant corporation that makes Marlboro cigarettes, was acquiring a 45 percent stake in Canadian cannabis company Cronos Group for $1.8 billion. The news sent Cronos’ stock soaring and re-aligned the world’s view of Big Tobacco. And it’s far from alone. According to CNN, companies like Constellation Brands, Molson Coors, and the Coca-Cola Company have considered similar investments in cannabis companies. But while diversified companies will always be interested in nurturing new markets and spreading themselves out like an amoeba to gobble up profits, the entrance of the semi-diversified entities that comprise Big Tobacco into the green space of cannabis companies is a different beast altogether. So why are companies that have traditionally aligned against cannabis suddenly pulling an about-face? What Does Big Tobacco Want? Smoking rates have been plummeting for years. In 2015, just over one-fifth of the adult population described themselves as smokers. And while that’s not great news for Big Tobacco, it’s hardly a death sentence. That still leaves about 1.1 billion smokers in the world, which is about the same number of people who used tobacco in 2005. And, because the price of a cigarette has gone up considerably in that time, the companies are actually making more profit today, with fewer smokers, than they were previously. How’s that for industry health? But a shrinking customer base is a problem for most companies, even if profits are soaring. That’s why Big Tobacco hasn’t been resting on its laurels. In addition to investing in cannabis companies, many tobacco monoliths are scooping up vaping startups like popcorn. 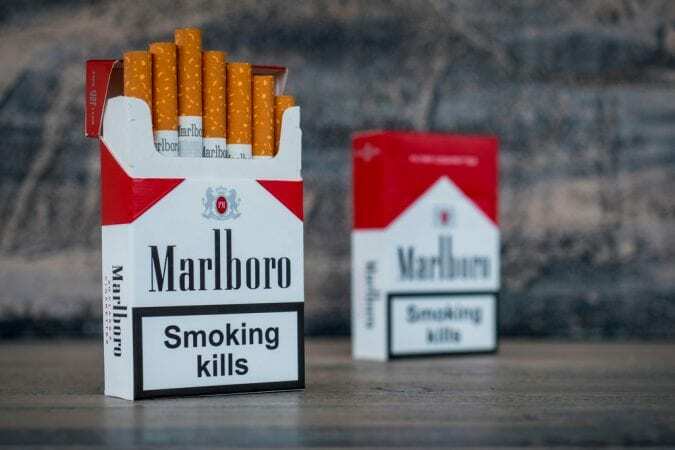 Indeed, as part of the Altria-Cronos deal, the company will discontinue its MarkTen and Green Smoke e-cig brands as well as Verve, an oral nicotine product. Altria, however, is still weighing whether to make a similar investment in the vape company Juul. And, while the deal doesn’t put Altria in the driving seat yet, the deal will permit Altria to buy another 10 percent stake in Cronos in five years, which would put it firmly in charge of all operations. Big Tobacco is clearly looking at the long-term implications here, but the deal is also good for business in the short run. After the announcement was made, Altria stock rose 2 percent — and Cronos leapt up by 30 percent. So why was this such big news? Until now, Cronos did not have any standing in the United States, but an Altria deal will change that a bit. From a political standpoint, this will be particularly interesting, as it puts the industry squarely on both sides of the aisle. Republicans have long been the prize winners of Big Tobacco donations, netting more than $1.9 billion in 2017-18 and $3 billion in 2016 (comparatively, Democrats snagged $613,000 from Big Tobacco in 2018 and $500,000 in 2016 — not chump change, but significantly less). But while Republicans have been fast to embrace Big Tobacco’s big money, they’ve been more hesitant to open their pockets to the cannabis industry. Democrats, on the other hand, have openly advocated for cannabis legalization — and taken money from pro-cannabis groups. If Big Tobacco merges with Big Cannabis, will the donations switch courses — or will the companies play both sides? And, if politicians keep taking this money, will their views on cannabis legalization suddenly evolve? There’s good reason to think so. Tim Kaine, a senator from Virginia and the top Democratic recipient of Big Tobacco money, joined efforts earlier this year to decriminalize cannabis at the federal level. That’s got to make his donors happy, especially if they begin to see bigger and bigger profits in the Canadian marketplace. And it’s likely that others will follow. Former Republican House speaker John Boehner, who has said he was “unalterably opposed” to decriminalizing cannabis now sits on the board of a cannabis company. Where the money goes, the politicians follow — even when it’s straight to cannabis.